What can be more representative of this celebration then Easter eggs ? Have fun ! 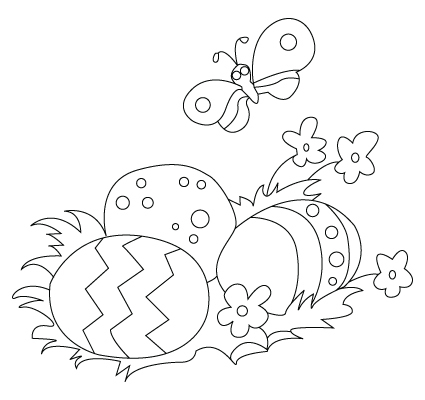 Here is an Easter egg coloring sheet. Little bunnies are hopping in the woods, from field to field, from a bush to an other. 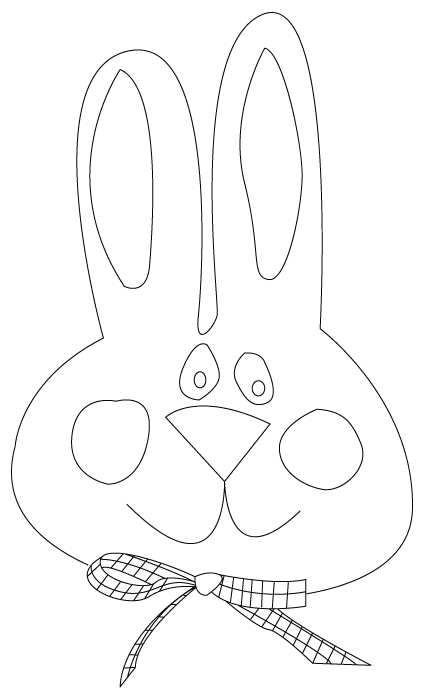 Here is a bunny coloring sheet. Easter bunnies are probably the favorite gift among the ones kids get on this celebration. 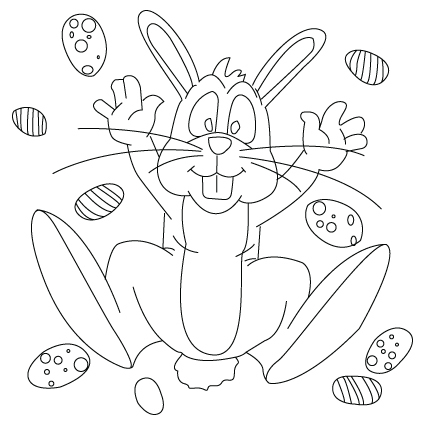 Here is an Easter bunny coloring sheet. The baskets allow us to carry all sorts of things or can even be use as a decoration. 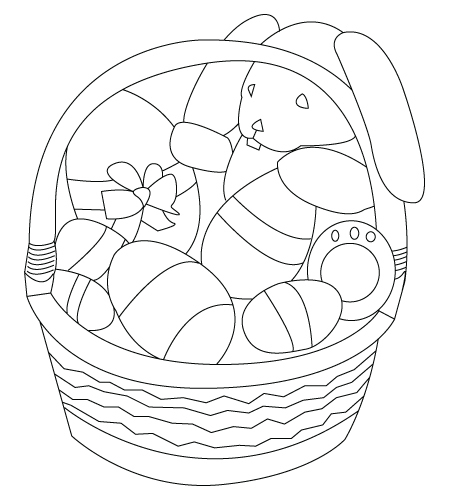 Here is a basket coloring sheet. Easter baskets are a very pretty decoration for the celebration of Easter ; they can also be use as a center piece. 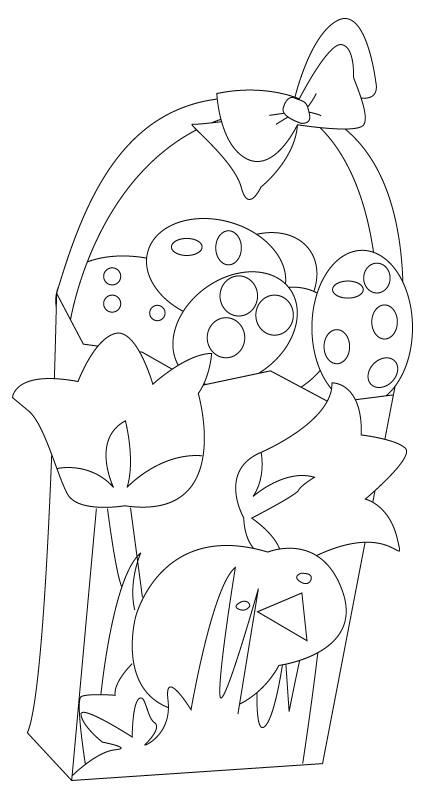 Here is an Easter egg basket coloring sheet. 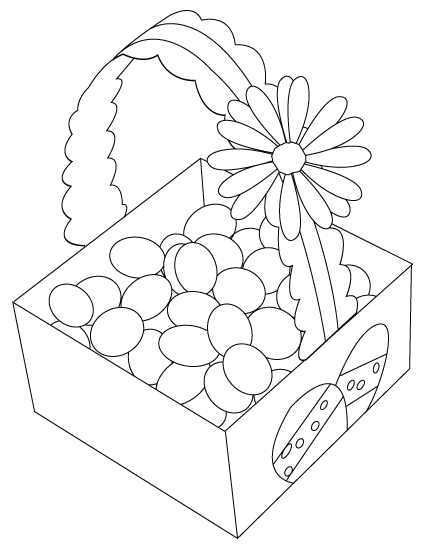 Here is an Easter basket coloring sheet. Probably the second most popular after the bunny… are the Easter chicks… But, be carful… A chick grows pretty fast ! 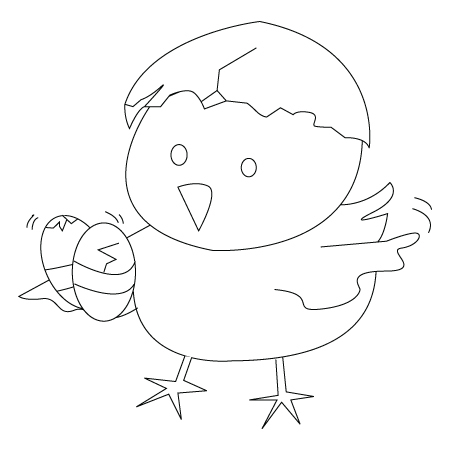 Here is an Easter chick coloring sheet.